I’m a lazy person. If I can eat a meal in 1 bowl or on 1 plate I would. 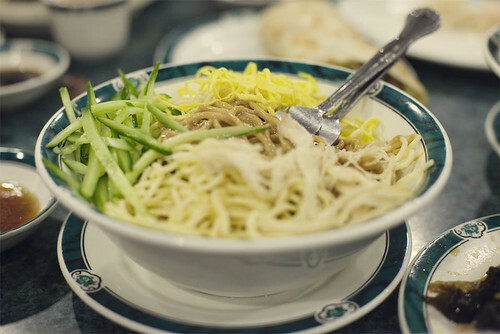 That’s why I love rice plates, rice bowls, soupy noodles….and dumplings. I LOVEEEE…EEEEEE to eat dumplings. I believe I can eat 25 dumplings in 1 meal. Drizzle with soy sauce, sesame oil and hot sauce HHHHMMMMMMMMMM. Dumplings are like soft delicious pillows but then again I don’t think I want to sleep on a giant dumpling. My favorite is probably the good old pork and chives and occasionally fish dumplings are great too. When my friends had asked me what I want to eat for dinner I quickly said “dumplings please!” My friend knew just the place. It’s a quick drive from her house and she and her family frequently go. 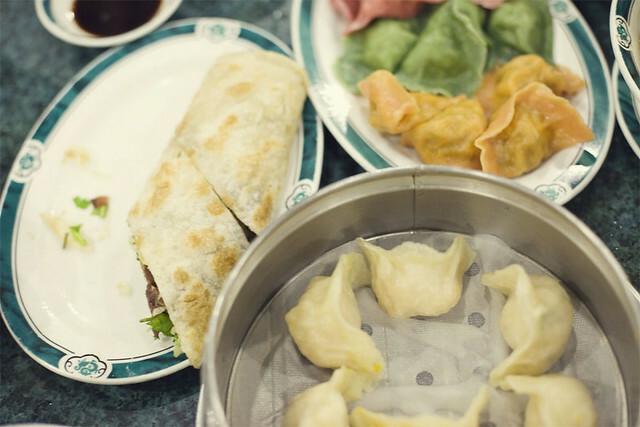 Like so many low-key Chinese restaurants in LA, you have to know where it is to find it. We pulled into a tiny generic parking lot with few stores inside. 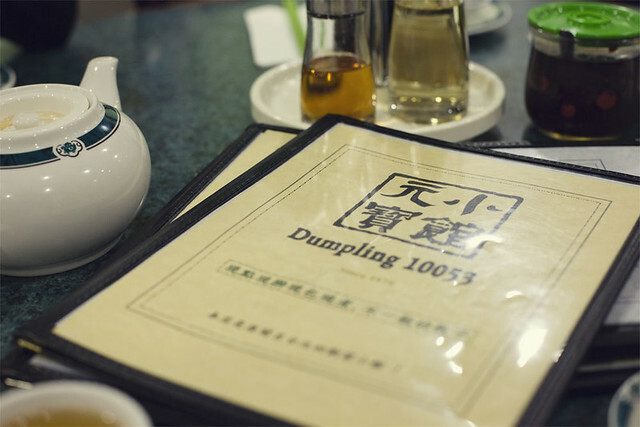 The sign to the dumpling place said Dumpling 10053 while the Chinese name is eh…something (I have kindergarten Chinese reading skills). We walked into a near empty restaurant but it filled up later in the evening. Prepare to wait for everything because there seem to be only 1 person in the front of the house taking orders, bringing food to your table and taking your cash. I let my friends do the ordering since all I wanted was dumplings. 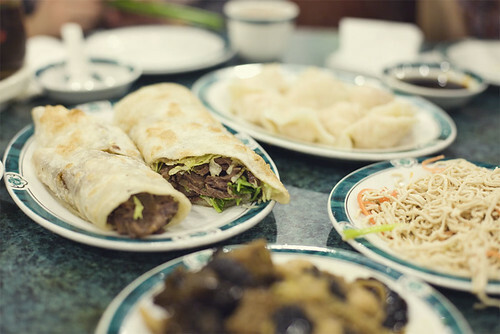 We got 3 different plates of dumplings, a cold noodle, a beef noodle, couple small plates of snacks, fried buns with condense milk and beef wraps. Everything on the table was great. They all tasted hm…well…..how to explain like “by the book”. 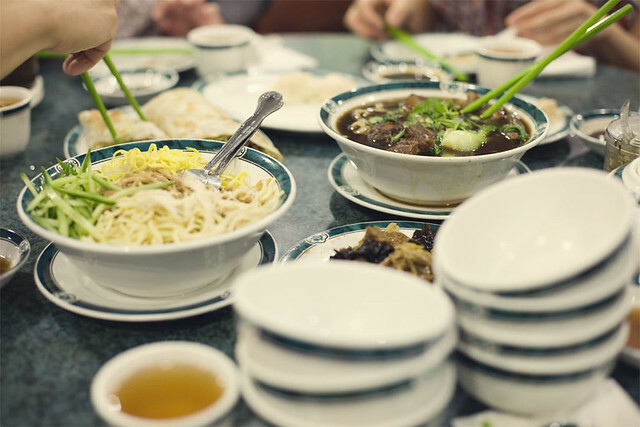 Both bowls of noodles and the plates of snacks were good but there weren’t anything that made them stood out from other BILLIONS of Shanghainese restaurants in LA. Sometimes that’s a good thing. I’m not trying to say that they should make their noodles different. BLAH I don’t know what I’m trying to say so lets just move on. DUMPLINGS! Looking through the different dumplings they had the only one that stood out for me was the sweet potato dumplings. I do like sweet potato ravioli so I was pretty sure I’ll like sweet potato dumplings. We also got an order of shrimp dumplings and the tri-color dumplings. The tri-color dumplings were a mystery. It didn’t say what was in the dumplings on the menu. The dumplings came in red, green and yellow. I don’t remember what was in each dumpling actually I don’t think I knew then. I just dipped them in soy sauce and stuffed it in my face. The red dumplings may have contained shrimp, make sense right? I had high hopes for the sweet potato dumplings but sadly the filling was kind of bland. It needed something else besides a mush of sweet potato puree. Oh on the other hand the plate of shrimp dumplings was excellent! The other thing that I was looking forward to was the beef wrap. 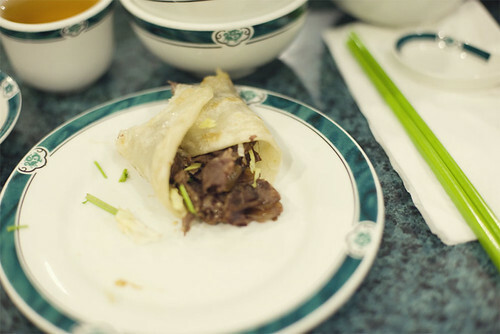 Imagine really tender slices of beef with a little bit of lettuce wrapped in a Chinese tortilla. Man that thing was loaded with beef. I ate one whole one. 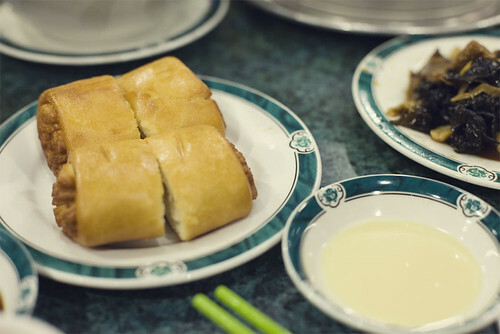 Of course don’t get out of your way to eat at this place but heck if you’re in the area or if you want some untraditional and mysterious dumplings go for it! Also the beef wraps, get the beef wraps!